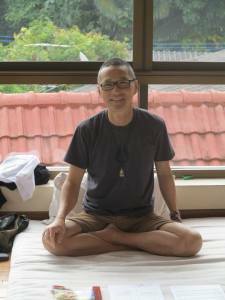 Kam Thye is a pioneer of teaching Thai Yoga Massage in North America and founder of the Lotus Palm Schoolbased in Montreal. He is also the author of several best selling books including Thai Yoga Massage, Thai Yoga Therapy for you Body Type and Advanced Thai Yoga Massage. Since 2011, he has given up ownership of Lotus Palm and now focuses on his dedicated yoga practice, his two children and teaching.